Hypertension not controlled by monotherapy, Patients with angina pectoris & hypertension as co-existing diseases, Post MI, Refractory angina pectoris where nitrate therapy has failed. Initiated with a single dose of Amlodipine 5 mg + Atenolol 50 mg. Depending upon the therapeutic response, titration of the dosage is recommended. In elderly patients, it is advisable to initiate the therapy with Amlodipine 5 mg + Atenolol 25 mg tablet. 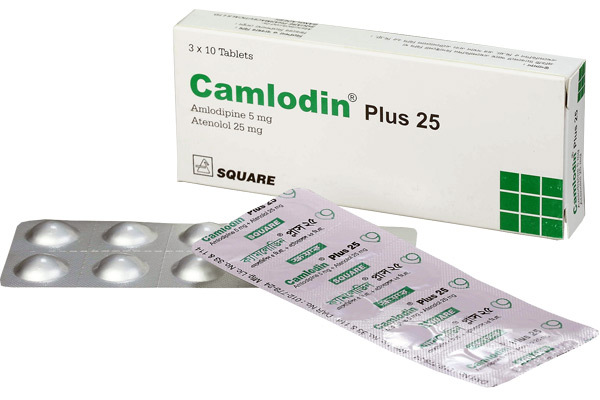 Camlodin® Plus 25: Each box contains 30 tablets in blister pack. 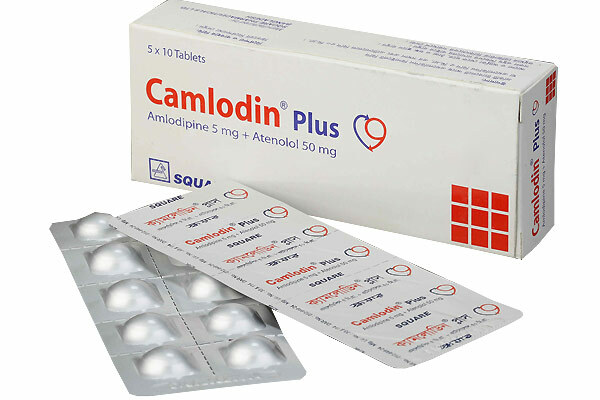 Camlodin® Plus: Each box contains 50 tablets in blister pack.